The magnanimous universe is your true home. What is the power of committing to your own life? What is The Home of Infinite Possibilities? The Home of Infinite Possibilities is a different perspective of ‘home’. The Home of Infinite Possibilities is where you realize that your home exists where Infinite Possibilities begin. 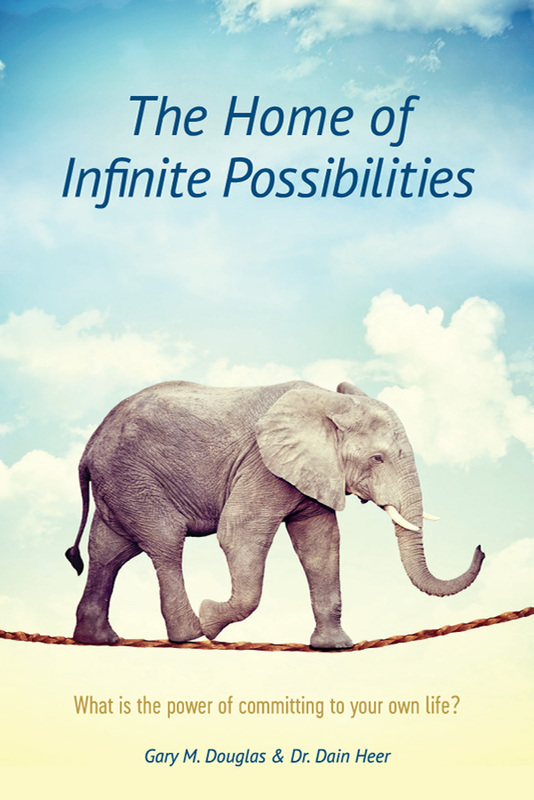 In this book, a transcript of the Home of Infinite Possibilities class in Houston, Texas, Gary and Dain facilitate a poignant discussion about the power of possibility and how truly committing to your life allows the universe to work with you, without limitation. Explore the concept of seeing yourself as the possibility and as living from a place of total commitment. Are you aware that infinite possibilities show up when you allow yourself to be in the natural flow of the magnanimous universe and to have the ease of that? Are you willing to receive what you desire? What would happen if you became the leader of your own reality? How do you honor yourself and your commitments? What are you capable of that you are not acknowledging? The Home of Infinite Possibilities is an engaging and thought-provoking conversation about the limits we create for ourselves and the power we unleash when we choose to work with infinite possibility. The universe would like to contribute far more to you than you are willing to receive. For me, this made the invisible world of infinite possibilities and functioning as an infinite being more practical as a way to function in every day life. It has been a deep acknowledgement of what is really true for me. The next question I have asked since, has been if I have the courage to choose it. Do I have the courage and willingness to go beyond what anyone else says is possible or true or real; and truly trust what I know, what I can have, what I can create and what I can choose?...It is an ongoing question, and what is showing up is miraculous! And so very different than I would have ever imagined. It is all way easier. Not always pretty, yet nonetheless far easier! Grateful for the empowerment of this book and everything Gary and Dain have contributed to greater possibilities for me personally, and anyone willing to have it!